Darwin’s evolutionism helped the founding of Marxist philosophy. The fundamental point of Marxism is the liberation of the human. Marx proposed the theory of all-round development of the human in moral, intelligence, health, esthetics and enjoyment, and founded the great ideal of communist society. Marxist theory has transcended many Utopian socialist phantasies, inspired the people seeking liberation in the whole world, and raised revolutionary tides all over the world. All advanced theories result from people’s findings in their groping for objective laws in the time. Marxism is the crystallization of the science findings of the time when Marx lived. In a sense, it is advanced in that it has enlightened many people, but unavoidably it also has some limitations and romantic elements owing to the limitation of the time. Like all advanced theories，Marxism must also develop，and should not be a closed, exclusive and fossilized doctrine. When Marx and Engels were alive, they revised and developed their theory all the time according to practice. After Marx，science and technology progressed very fast, mankind has worked out many effulgent scientific research fruits and theories. One of them is called “futurology”. Futurology is a hot branch of learning in western developed countries. For futurology always constructs the future development picture that everyone wishes to know. Toffler’s Third Wave enjoys good sales in the whole world, being sold for 20,000,000 copies. Toffler’s predictions on the information society and knowledge economy have played a great role in the decision making and policy choosing for great political leaders and business leaders of the world. The classic report made by Club of Rome, Limit to Growth，has laid the foundation for the present sustainable development theory. Lisbon Group’s Limit to Competition has sounded the alarm for the competition of laisser faire capitalism，calling on “avoiding the danger of global self-explosion (in economy, religion, politics and ethic)”. Gore, once as Clinton’s partner，is also a futurist with rich knowledge. When he worked as U.S. senator, he wrote a book called “The Earth Verging on Out-of-balance”. It was reprinted for 10 times in a short period in America, and it has been turned into scores of languages, becoming a best seller in many countries. The reason why Wang Xiaoping can have such bright insights is that she has transcended numerous futurists who, in their research, focus merely on the long-term potentials of new economy and its impact on the future, and she has inherited the Marxist viewpoint that the fundamental point is liberation of the human. Thus, she has pointed out that development of mankind itself is the root of all developments, and letting everyone become immortal is the fullest and most thoroughgoing liberation of mankind. Why did such a marvelous book not come out of a famous political leader whose “one sentence equals ten thousand sentences in power”, nor out of a great scholar with a hoary head, but out of “a naive young girl” at the age of only 21? Isn’t it unthinkable? 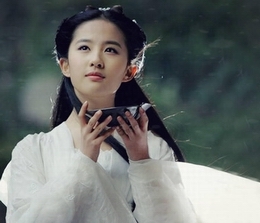 Indeed，Wang Xiaoping is just an extraordinary girl. In the final test of her first year of senior middle school, she ranked No. 1 in the whole class, 70 scores higher than No. 2. But she decided to quit school and do self-study at home. Why？She found, in school, we can study only a dozen or so books in one semester, but at home she can read at least scores of books in one month. She did not just go home to study the school-specified courses as ordinary people might think, but studied in a research manner, doing creative thinking while studying and writing. First of all, she pays a great attention to grasping of the general system of contemporary scientific knowledge, then, with the general knowledge background and knowledge eyeshot in mind, she does in-depth study according to the need in her research. She says her ways of reading are various, such as intensive reading, extensive reading, selective reading, skimming, and so on. When she reads a book, she takes an investigator’s attitude: first，takes a birds-eye view, then digests it, and finally makes criticism. She trains her own ability of fast reading, and lays special stress on thinking. She “takes the book as the enemy”，regarding the book as her foe, trying to find out errors in it and criticize them. She takes full advantage of the computer as the modern information tool，to establish her own electronic card database and input all useful data into it. She uses the Internet to collect and search for modern scientific knowledge any time. She took a hint from one sentence in Selected Works of Mao Zedong: “In our team, there is a panic, it is not an economic panic，nor political panic，but ability panic.” She says, all the problems confronted by people, in the last analysis，are caused by the person’s lack of ability. Only by transcending the traditional learning, turning knowledge learning into ability learning and realizing the basic change in the center of study can we overcome the ability panic. Wang Xiaoping has suggests the ability menu for “Dacheng” people, that is, the ten major abilities: learning ability, thinking ability, innovating ability, planning ability, persuading ability, communicating ability, cooperating ability, organizing ability, self-knowing ability, and self-governing ability. At the age of 17, Wang Xiaoping made an academic report to experts in a nationwide seminar on education. At the age of 18, she ran a series of lecture courses in a college. At the age of 19，in collaboration with someone else, she wrote Secrets of Great Achievements, Surpassing the success Science of America. At the age of 20, she published her Ability Panic. When Marx wrote his Communist Manifesto together with Engels on the basis of the scientific research results of that time and by using the conditions in British Library, he was only 29 years old. But today mankind’s research findings are much richer, and information consultation conditions are much more convenient, thus, it is no wonder that Wang Xiaoping, by her supernormal learning and thinking, has written such a wonderful book as The Second Declaration, at her age of 21. Everyone can benefit a lot from this wonderful book. First of all, you may broaden your horizon greatly, enjoying the modern scientific knowledge that you have neglected in your busy routine work. From the book, you may get many penetrating viewpoints. For example：Mankind will use high technology to guide its own evolution，making future humans grow perfect；What is more important than spatial freedom is the freedom in survival time；The biggest prison in the world is the prison of the brain, and humans are prisoners of their own ideology；In the 21st century，the most important thing is not money, not resources，and even not technology，but the common ideal that can join up all the people in the world；Market is the “Invisible Hand”，technology is the “Invisible Brain”，and market and technology are the two deities of mankind；The future economy is a combination between high technology and high humanity. And so on. Liberate our ideology，free ourselves from the old ideas, reform our mode of thinking, realize the truth that the future determines the present; only by accurate prediction of the future can we make correct strategies, seize the commanding point for future development, and achieve frog-leaping development. Firmly believe that the fundamental point of Marxism is to realize full liberation of mankind, firmly believe that life is absolutely precious, and development of the human is the basic point in all developments. Grasp the great change unprecedented in the past thousands of years: mankind is just at the juncture of either becoming immortal or perishing, either going to Heaven or going to Hell. Everyone should make their contributions to the common great ideal of the world as much as possible.